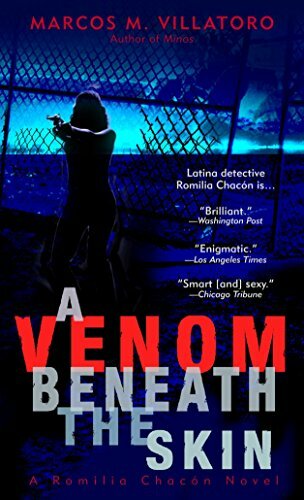 Latina detective Romilia Chac&oacute;n is a marvelous heroine, one who clings to her heritage, her son, and a determination to do her new job in Los Angeles better than anyone else. She has to&#x2013;because inside the FBI, Romilia is the only link to a legendary criminal who may have just taken down one of their own....<br /><br />FBI agent Chip Pierce was found poisoned, a single word&#x2013;cabr&oacute;n&#x2013;carved into his stomach. The only suspect is the infamous Tek&uacute;n Um&aacute;n, a seductive and brilliant Guatemalan drug dealer who once got under Romilia&#x2019;s skin&#x2013;and never quite left. Now, skirting official regulations to begin a personal hunt for Tek&uacute;n, Romilia will stumble into a world where terror, fanaticism, and murder collide. What awaits her is a shocking new evil&#x2013;and the ultimate threat to everything she holds dear. Marcos M. Villatoro is the author of several books of fiction, poetry, and nonfiction. The <i>Los Angeles Times Book Review</i> named his nationally acclaimed <b>Home Killings</b> as one of the Best Books of 2001. It won the Silver Medal from <i>Foreword Magazine</i> and First Prize in the Latino Literary Hall of Fame. His other books include the Pushcart Prize nominee <i>The Holy Spirit of My Uncle's Cojones</i> (also an Independent Publishers Book Award finalist), <i>They Say That I Am Two: Poems</i>, the novel <i>A Fire in the Earth, </i>and the memoir <i>Walking to La Milpa: Living in Guatemala with Armies, Demons, Abrazos, and Death.</i><br /><br />After years of living in Central America, Marcos attended the Iowa Writers' Workshop. In 1998, he and his family moved to Los Angeles, where Marcos holds the Fletcher Jones Endowed Chair in Writing at Mount St. Mary's College. A regular commentator for National Public Radio's &quot;Day to Day,&quot; Marcos also hosts a book show called &quot;Shelf Life&quot; for Pacifica Radio.